For the first time, the people of Equatorial Guinea celebrated the country's Anniversary of Independence on the small, remote island of Annóbon. President Obiang Nguema Mbasogo and First Lady Constancia Mangue de Obiang joined hundreds of Equatoguineans, government officials, diplomats, business leaders, and international organizations who traveled to the island for the three day event and the official opening of a new modern airport. The inauguration of the new Annobón airport and trade port were the central events of Equatorial Guinea’s (Republica de Guinea Ecuatorial) Independence Day Celebration. President Obiang Nguema Mbasogo commissioned the construction of the two facilities in an effort to foster economic growth through access to the remote island province. The two robust infrastructure projects were executed by Somagec (a Moroccan company) and fully funded by the government. 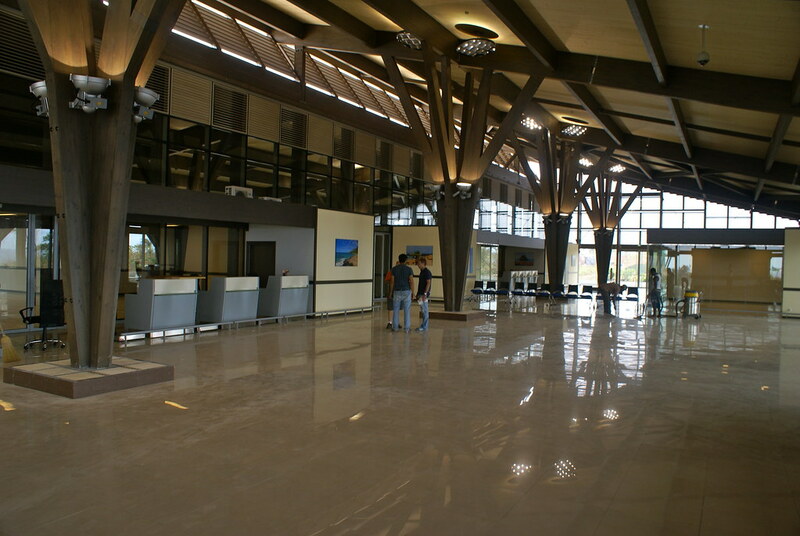 The Annobón airport is part of a much larger national development plan undertaken by President Obiang’s administration to increase development across the country. “To mitigate the effects of poverty and meet the Millennium Declaration, the Government of Equatorial Guinea has embarked on a strategic planning process for long-term development,” said the Minister of Foreign Affairs, Pastor Micha Ondo in September at the United Nations General Assembly in New York City. So far, the administration has made rapid progress in improving and expanding Equatorial Guinea’s island and mainland transportation infrastructure, as well as electrification projects, such as the construction of the Djibloho Hydroelectric and Distribution Plant which will generate over 220 kilowatts to supply electricity to the mainland region. Transportation and energy are two of several areas of initiatives the Equatorial Guinean government is focusing its development resources on. Projects in telecommunications, education and health are also in the works. The Annobón airport and trade port are two massive, state-of-the-art infrastructure projects that will bring an end to the isolation that has always characterized the island province. Prior to the construction of the new airport, the island only had a short runway that caused significant risk for arriving aircraft. The runway now has been extended to approximately 600 meters to allow for large passenger and commercial flights to land safely on the island. At the opening ceremony of the 42nd Independence Day Celebration, held on the Annobón airport’s tarmac, representatives from Somagec and General Works, the firms tasked with building the Annobón airport and other ongoing projects, along with Minister of Public Works and Infrastructure, Marcelino Oyono Ntutumu, addressed the public to report on the details of the projects already completed, and those underway. The new port on Annobón, which makes the island accessible for trade, with capacity to dock large tonnage ships and passenger ferries, totaled an investment of approximately €100 million. In addition to the airport and port, the Equatorial Guinean government has also funded a series of public housing blocks in Annobón built by General Works and there are several other projects planned, including: water systems, the construction of a junior high school and a police station, totaling a government investment of approximately €200 million. For the first time, the people of Equatorial Guinea (Republica de Guinea Ecuatorial) celebrated the country’s Anniversary of Independence on the small, remote island of Annóbon. President Obiang Nguema Mbasogo and First Lady Constancia Mangue de Obiang joined hundreds of Equatoguineans, government officials, diplomats, business leaders, and international organizations who traveled to the island for the three day event and the official opening of a new modern airport and port facility. The opening ceremony of the 42nd Independence Day Celebration took place in the city of San Antonio de Pale, on the tarmac of the newly constructed airport of Annobón. Following speeches from various government officials and business leaders, President Obiang addressed the audience and extended congratulations to the whole nation on its independence. In his speech, the President took stock of the history of Annobón, reiterating that the island "was the most affected by the colonial system and that it had been completely neglected, with very little communication, and had no port or airport…. For the first time, Annobón is hosting a large contingent of the nation, in commemoration of our national independence, and today it becomes the capital of Equatorial Guinea, thanks to modern urban infrastructure of the capital of Pale, its magnificent new airport and its port facility." The President also referred to those and many fellow Africans "who still think that Africa's development can only come from the hands of foreigners" and made clear his opinion that: "Equatorial Guinea, by itself, can reach the level of other countries…. 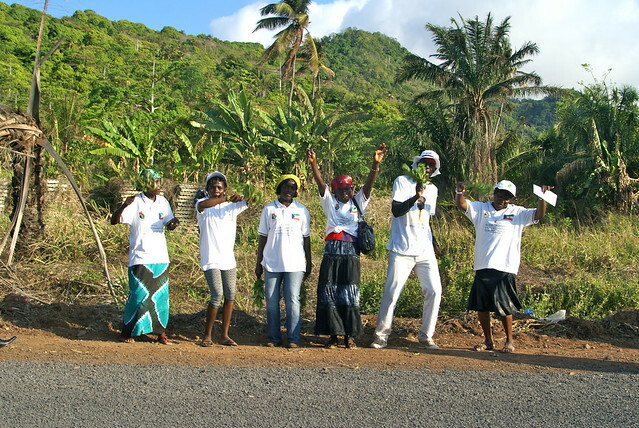 This year, many African states celebrate the 50th anniversary of independence, and we stand with them. However, independence is not only the absence foreign rule. Independence means being able to meet the needs of the people. And this must always be the aim of our future." To applause, President Obiang concluded his remarks and expressed hope that "when Equatorial Guinea reaches it’s 50th anniversary of independence, the country will reach an outstanding level, and be an emerging state." Following his speech, President Obiang accompanied by the First Lady and honored guests toured the new terminal and port to witness the completion of the projects. Among attendees of the National Independence Day celebration, Prime Minister Ignacio Milam Tang, Minister of State for Agriculture and Forestry, Teodoro Nguema Obiang Mangue, Minister of Infrastructure and Public Works, Marcelino Oyono Ntutumu, and those of Health and Social Welfare, Justice, and Information, Culture and Tourism were present. Additionally, the ambassadors of France and Spain and embassy representatives of Cuba, Morocco, Venezuela, Gabon, Chad, and China, along with the United Nations Development Programme (UNDP) representative, Leo Heileman, and foreign companies operating in the country attended the festivities. President Obiang Nguema Mbasogo of Equatorial Guinea (Republica de Guinea Ecuatorial ) demonstrated his government’s commitment to boost access to education and provide quality education to the country’s citizens through a significant donation of school supplies to school districts nationwide. The Minister of Education, Filiberto Ntutumu Nguema, presented the materials to the district directors of the country’s public schools. The materials donated by the President and distributed by the Education Ministry included a wealth of books, which, as stated by the Minister of Education, would be distributed proportionally according to the school districts. The Minister of Education also urged the inspectors to fairly and transparently distribute the school supplies to all districts and municipalities. This meeting with the school authorities was also attended by the Secretary-General of Education, Miguel Esono Mansogo and the Director General of the Office and Technical Advisor to the Minister of State, Armando Ndemesogo Esono. Equatorial Guinea is making strides to meet the goals set forth by the Horizon 2020 development plan, put in place by President Obiang to transform Equatorial Guinea into an emerging economy by 2020. Education is a key focus of the country’s development program, and the “Education for All” initiative includes widespread efforts to increase enrollment, construction and remodeling of primary and secondary schools, and the construction of centers for professional formation and universities. The country’s efforts and progress have been recognized by UNESCO with recent data that ranked Equatorial Guinea as the highest adult literacy country in Sub-Saharan Africa, reaching 93% of the population. While significant work remains to be done, the country continues its path toward achieving both the UN Millennium Goals for 2015 and those of Horizon 2020.